​"This is no simple biography This is a slice through space and time, a representation of a unique era and a celebration of life. 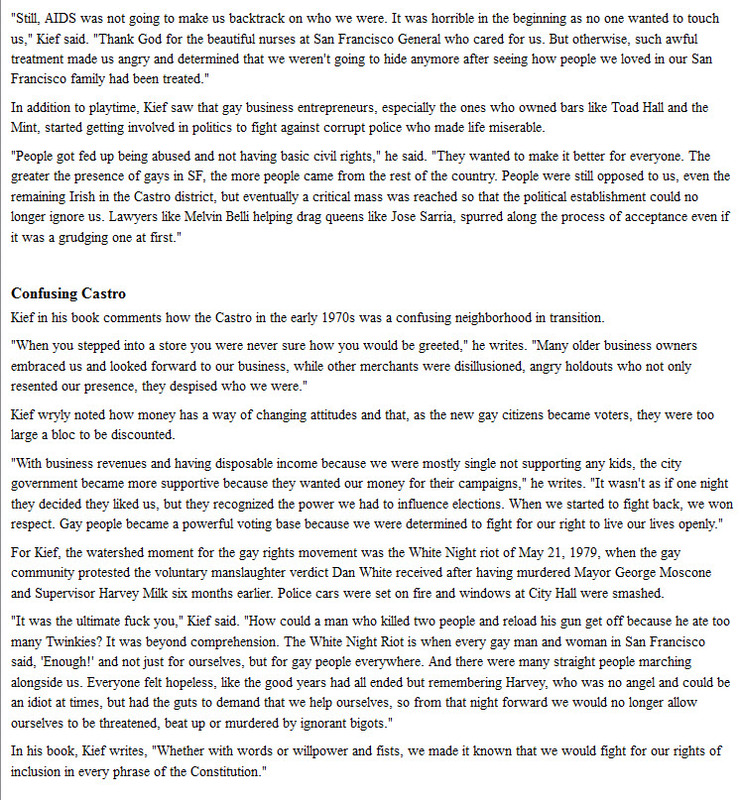 The USA's gay rights movement claimed the psyche and the soul of a city - and author Lou K was there, living it all. Between the front and rear cover of this book is the flavour, the vibration, the tremendous life and death force of what it was like to be in that time, in that city - San Francisco... and also, as a really groovy bonus - what life was like as far away as Detroit. Those born without the "good-taste", "style" and "do I look like I give a rat's rear end" genes (heterosexuals) often live wonderful lives, lives full of colour and incident, I'm sure - but even to this day the way the other ten percent of us live is a shadowy, mysterious and puzzling thing to most. It's odd how love can be apparently rendered so unrecognisable and incomprehensible simply by being re-framed. Forty and fifty and more years ago the division between these two worlds was higher than the Berlin Wall, wider than the gap between a politician's promises and a politician's track record in office. 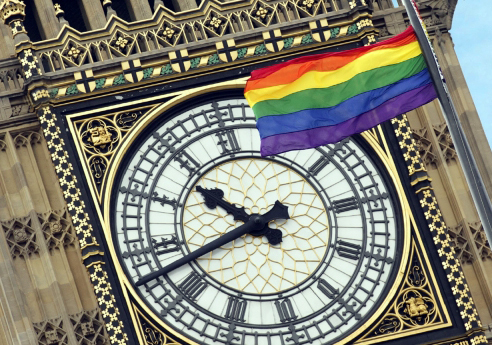 Gay history, as it was referred to in my day, or LGBTQIA Experience as one must refer to it now, isn't a dry thing, it isn't dusty, it isn't statistics and facts and figures - it's real people, living full and real lives. It's all in here, this patch of it has been mopped up and recorded. The writing is excellent, the editing professional, the formatting flawless and the content compelling. 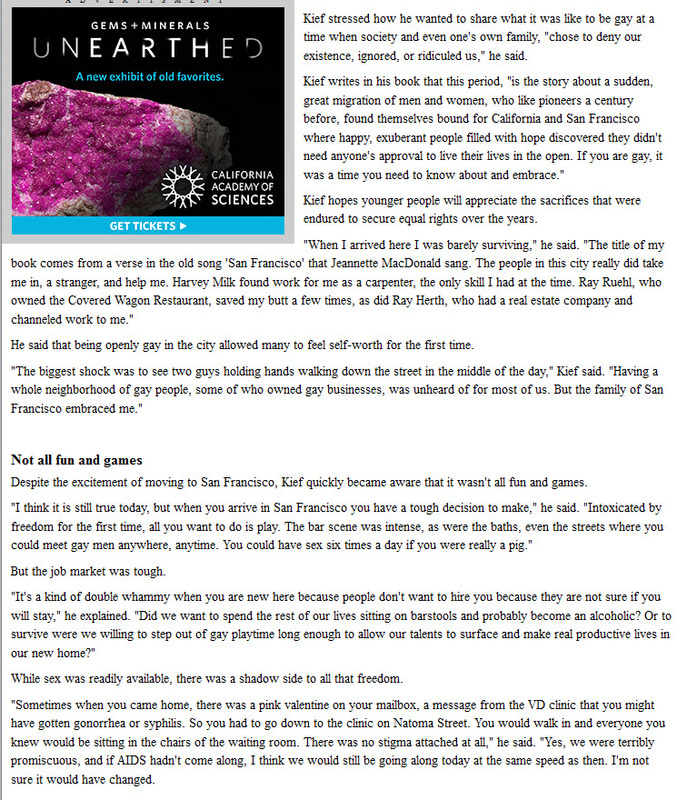 This is a book that won't disappoint." 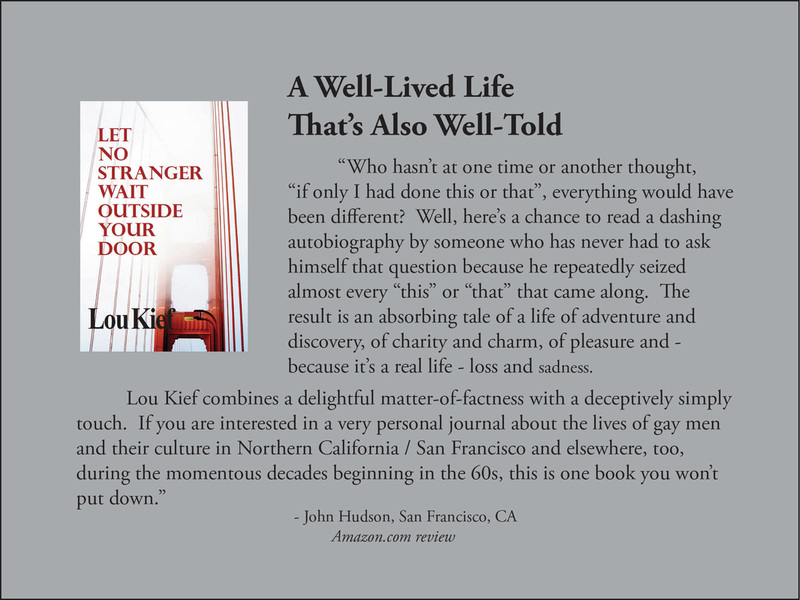 GDE review of Let No Stranger Wait Outside Your Door, by Lou Kief. What I thought would be a simple, straightforward personal memoir of a gay man coming to terms with his sexuality in 1960s America turned out to be so much more. His escape from the dark clouds of the hard as nails and un-moveable social expectations of Detroit to the open minded and sun drenched state of California, Lou swept me away in the moments of gay social history, from leaving the violence and racial tensions of the Detroit riots moving to the inclusive gay scene in San Francisco. Many places and times that have set the foundation for American Gay Rights, Lou was there living through it. 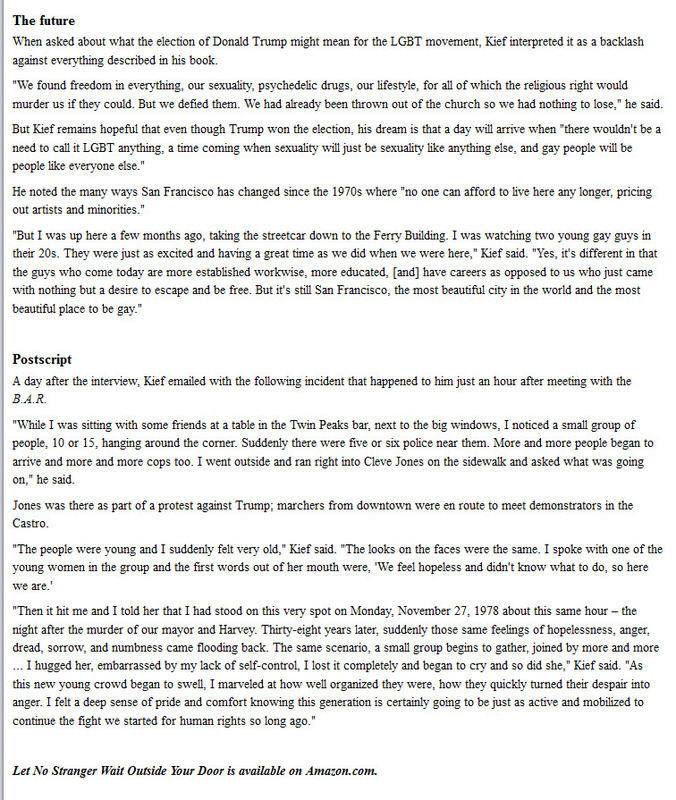 He even goes to explain how he was personally affected by the murder of friend and the first openly gay politician Harvey Milk. 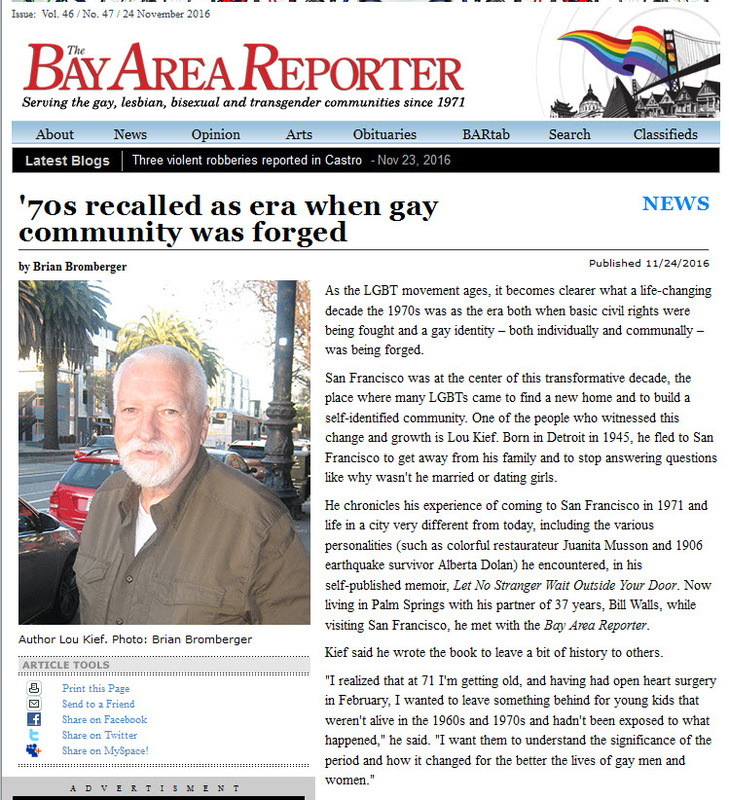 The depiction of the inclusive gay community of San Francisco seems such an age away. In his beautiful strokes of prose, the era is bought to the reader with a Technicolor panorama. I would even go to say there is an essence of Armistead Maupin and the most popular Tales of City saga. What moved me in this amazingly delicious novel were the friendships and relationships Lou has made in his life. The way he describes how the gay community dynamic worked. Sadly, it’s a community that has long since been depleted. Through this book I found myself bathing in the warmth of the friendships and relationships that Lou made and encountered. They became my friends and I immediately cared for them in an equal measure to which is a credit to his writing style. Unfortunately the AIDS epidemic all but wiped out this generation. 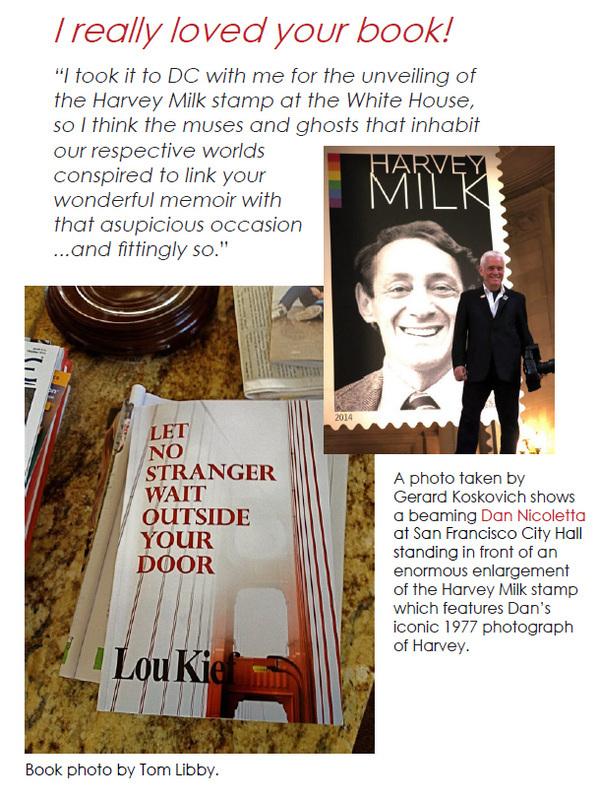 At the end of the book, Lou has given tribute to these friendships honoring each friend with a moving obituary. Every friend, relationship and encounter that made an impact on Lou’s life has now made an impact on mine. Let No Stranger Wait Outside Your Door, by Lou Kief. It is available in print, Kindle and ePub formats.